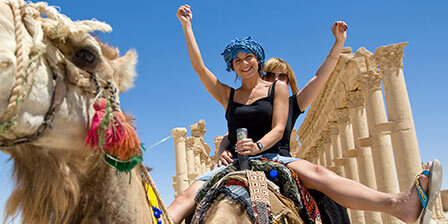 We've specialized in group travel since 1981. 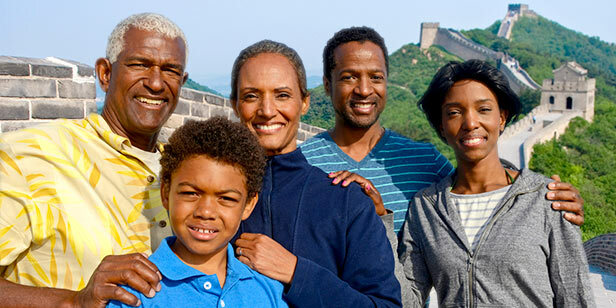 If you are ready to travel with family, friends, school, organization, church or club, we have the knowledge and experience to help. If you can dream it, we can probably arrange it! Of course, prices vary based on your group size. Our minimum group size is 10 adults, but the larger the group, the less you pay per person. And ask us about special benefits for tour leaders! Choose from any of our existing Tours & Packages and block it off as your own private trip. We'll arrange private transportation and guided touring. We can also personalize the trip to fit your needs and interests. Enjoy our carefully developed itineraries and our low negotiated rates. Have something completely different in mind? We can help you put together a package to almost any destination, including flights, transfers, hotels, guides and more. If you can imagine it, we can probably create it. And the more, the merrier! Why plan your trip with us? Choose your own dates that suit your schedule, not ours. Personalized itineraries with your choice of hotels, optional private touring, and activities that everyone will enjoy. Personal Friendly Planet coordinator to help you create and operate your tour, plus a 24/7 emergency line. Custom webpage to help promote your tour and share info with its members. Everything's included: flights, carefully selected hotels, transfers, guided touring, meals—if you want it, we can include it! Pricing for all budgets, large or small. Take advantage of our competitive prices. And more travelers means less cost per person. Online reservations & payments to make it simple for everyone to book and pay for the trip. For parties of 10 travelers or more, fill out the form below to tell us a bit about your trip, and we'll respond, usually within 2 business days. Once we know the details, we can prepare your no-obligation quotation, answer all your questions, and get you started on your dream journey. Or, give us a call, at 800‑555‑5765 and let one of our friendly, experienced agents guide you through the process. Travel Agents: If you've previously registered with us, please enter your IATA/CLIA number below. Otherwise, please complete our registration form. Tell us about your desired destinations and itinerary. If you want to base your trip on an existing package, tell us if you would like to make any changes or additions to the itinerary. Would you like to include flights from the U.S. or Canada to your destination? Ideally, what's the maximum total amount you'd like to spend? Price is your biggest factor. We'll do our best to craft an itinerary at or below this price. Itinerary is your biggest factor. We'll do our best to design an itinerary matching your specifications for the best price, even if it's more than the price above.